Later today, I have to say goodbye to a very important person in my life. My Aunt Susie passed away two weeks ago, after a very difficult battle with cancer. Man oh man, I thought this year would never end! I mean, I know we still have about 4 more hours-- and a lot can happen between now and then, but I am hoping 2017 comes in a quieter fashion than this year started for Jason and I. We are not, by any means, 2016 haters-- a lot of great things have happened to us this year-- but, this has been a long, rough year for the world. So, today I wanted to take the opportunity to look at some of our challenges and triumphs... because I think it's important to take time to look back so you can appreciate how far you've come. 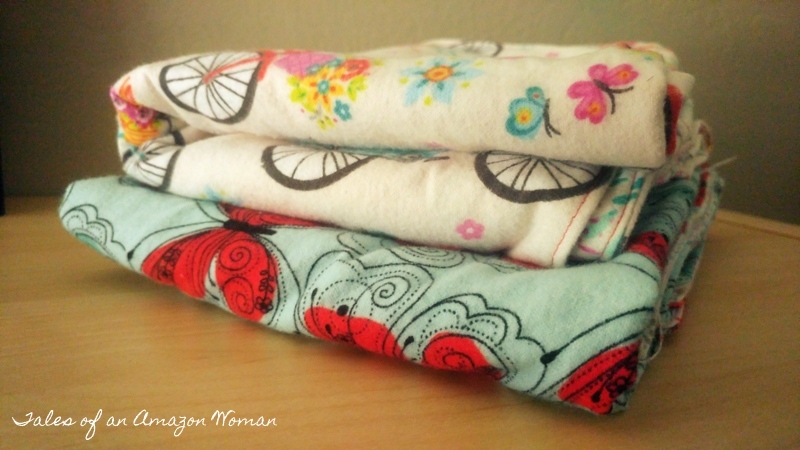 Today's post is all about the littles your friends and siblings are bringing into this world-- and an easy gift for them in their first few months of life.blankets for them. Our lives are full of littles right now. In fact, Jason's sister just had a baby girl last month-- making us and auntie and uncle yet again! And with that, I got inspired. These are incredibly easy blankets you can put together in a matter of minutes. All you need are two yards of flannel! Our Engagement Photos are here!!!! 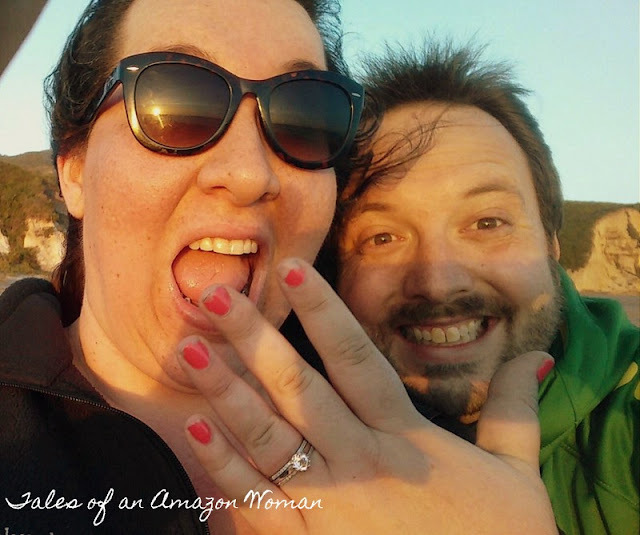 My beautiful friend and former co-worker, Audrey, and her husband offered to take them for us as a wedding gift at the end of June. It was one of the hottest days of the year, but we got gussied up anyway, and had a fun little photo shoot in Old Sacramento. We got our photos on Friday, but with family in town I haven't had much time to share them. I'll post them to an album on Facebook-- but I also wanted to share them here on the blog for folks who don't have or use social media often. Man did the month of May get away from me. I really wanted to get a jump start on my fitness and healthy living, but instead I got sick from stress and gained 10 pounds. But you know what? It was just an important reminder to myself that I need to find better was to relieve my stress, and let things go. It's been such a crazy May, and my drive to write got away from me as I focused a bit more on my job during our ratings period. 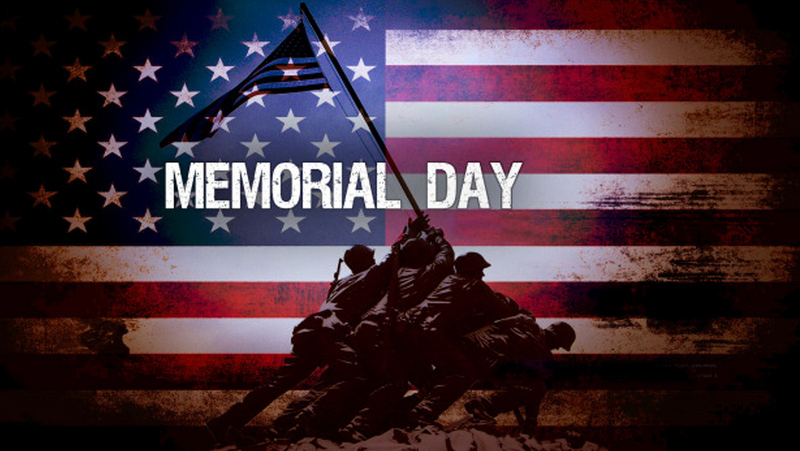 But now I am back, and I hope you're all having a great holiday weekend-- and taking some time to remember the men and women who lost their lives fighting for our freedom. This is one of my favorite days to cover the lack of news at work-- all the pomp and circumstance, the salutes and tributes, and the amazing stories of heroism that we get to report on. It's an incredible reminder of how lucky I am to live in this country, and to be grateful for everything life throws my way. While we're honoring our fallen heros, I think this weekend is also about celebrating our freedoms. Jason and I decided to celebrate ours with a weekend full of music and food. Review: "In a Dark, Dark Wood"
Oh. My. God. I loved this book! Where do I start? I first heard about it while on my morning drive to work, back when I produced the 5 PM show. Back then I got to listen to the end of Morning Edition, when they talk to authors. I've posted the interview below, so you listen to it. Organization is an incredibly important part of my healthy lifestyle. Without it, I spend a lot of extra money on fast food or expensive trips to Nugget Market. I also tend to partake in the crazy food that shows up in the newsroom. That means a lot of extra calories. So, instead I spend my Sunday's grocery shopping and meal prepping for the week. One of my favorite tools to stay "meal organized" during the week are these lunch box containers from Rubbermaid. 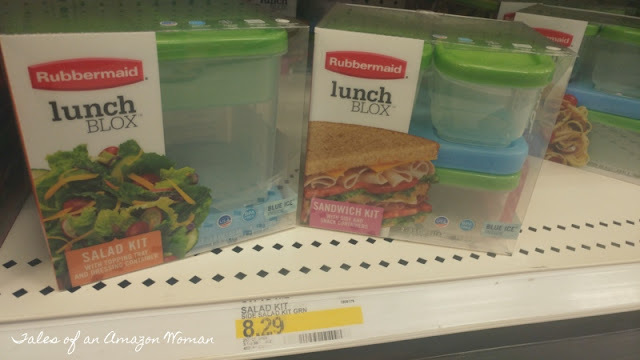 This isn't a paid post, I am not getting anything from Rubbermaid for writing this. I just really enjoy this product and wanted to pass it along to you, my friends. You can find these at most stores: Target, Walmart, Fred Meyer for my northwest peeps-- or you can buy them on Amazon. They cost about $10-$15 depending on the kind you buy. We own the "Sandwhich Kit" and "Salad Kit." What I love about both of these kits is that each piece clips onto or inside of the other, so you don't have to worry about loose pieces sliding around your lunch bag. It also comes with its own ice pack to keep things cool. I know during the week, I've been sharing posts on various subjects-- but on Sundays I wanted to start taking the opportunity to share with you some of what's been going on in my life, outside of my blog posts. 'Literally, the day before Jason popped the question-- I had a co-worker tell me to pay attention to the subtle cues Jason would be giving me the day he proposed... Well, I didn't. 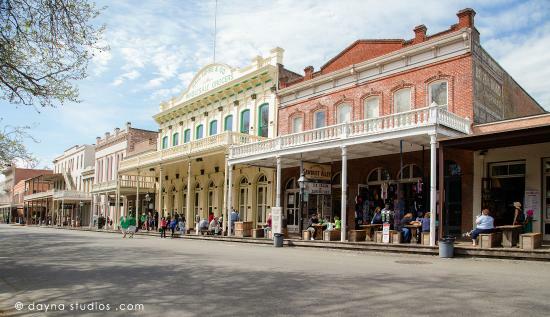 It might be considered a bit cheesy and a little touristy-- but if you live in Sacramento, or are visiting, you should take the opportunity to go back in time and visit a little place called Old Sacramento. This part of town lines the Sacramento River downtown, but it's a bit hidden behind the modern-day city. Once you turn on Front Street and round the corner, you're transported back into the Mid-19th Century complete with cobblestone roads and a wooden boardwalk along the river. You could spend an entire day exploring the shops and museums. Honestly, this is our go-to place to take people visiting from out of town because there's something for everyone. So if you're interested, I've put together a list of things to checkout if you find yourself in Old Sacramento. I don't know about you, but sharing recipes is my favorite part about blogging. I love good food, and sharing it with friends and family. Today's recipe is one of my go-to lunch recipes. It's delicious, easy to make, and super healthy! Originally, I ordered something similar at Panera Bread. It's called their "Power Bowl"-- and it's chock-full of powerful protein. Plus, it's only about 300 calories! Welcome to May my lovelies! It's been such a long time-- but I am ready to get back in it. Before we dive right back into living healthy and finding alternative ways to destress, I must confess something to you. I have not been good to myself. The move to Sacramento 2 years ago was much harder than I would like to admit to anyone. And having Jason gone in South Korea only added to my hardship. When I got down here, I felt confident, healthy and happy. And despite my therapist's suggestion that my first move down here, after finding a place to live, should be to find someone to continue working with on my depression-- I didn't. And that only led me back down a very dark path. I let my anti-depressant prescription run out, without getting a new one. I became withdrawn again. And I started binge-eating my feelings. It wasn't good. And after two years of wandering down a dark and emotional path-- I've decided to get back into it. It helps that I now have a pretty ring on my finger to motivate me, but that's not the real reason I am choosing to get back into this. It's me! Remember me? I know it's been a while-- bunt I am excited to return with new goals, ideas for revamping my blog and of course, new recipes. But today, I am going to use my space to update you on what's been going on in my life.